Aaand here ends the first arc (and the first volume) of Bookwyrms! What now? Well, the script for the next arc is fully outlined, but only about the first third of it is completed, so I really have to take a break to write it all down before I start drawing. Also, I’m going to be working on the additional art that the printed book will require, like covers and that sort of things. (Expect some streamings for when I work on those!) Hopefully I can use some of the time to start editing the pages in order to update the text after the editor’s corrections (which is going to improve the text so much! ), and make the colours print-ready! That’s a lot to fit in a month, but we’ll see how it goes. 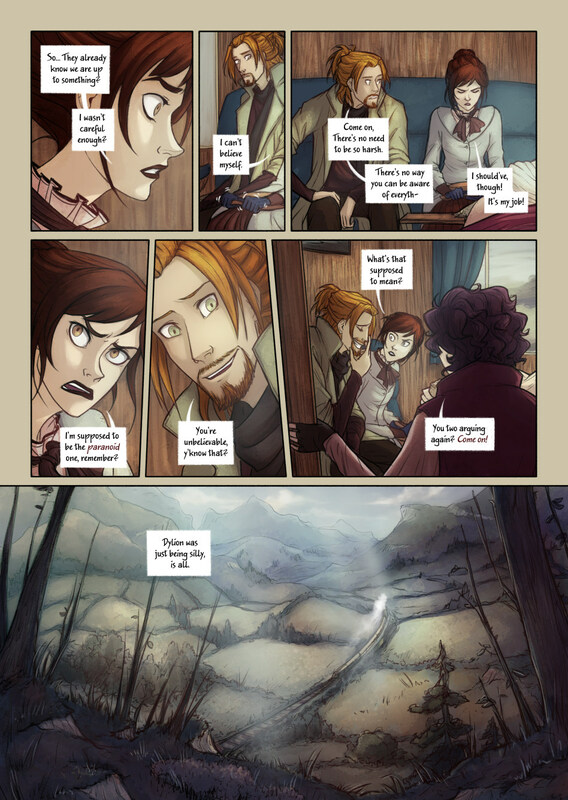 Do enjoy the remaining summer time and get ready for the second arc of Bookwyrms, which will start on September 27th! looking forward to those streams. Dylion and Arabelia are awesome together XDD I can’t wait to see what happens next! *whispers* I’m tempted to ship it. I SHIP THEM SO MUCH omg. So excited for the next part! I just found this and had to binge it all in one go I loved it so much, the website is such a cool thing and I’m so glad I found out about this. Wah I love it so much! Keep up the great work Author-Sama!